Currently, the smartphone is valued at Rs. 47,499 for the 16GB Model on the Flipkart and Amazon while the same model being sold on Snapdeal for Rs. 47,199. For the 128GB model of the handset, the prices are higher up to Rs. 80,000 rupees for a single mobile handset. Resellers of Apple offers the similar discount. The prices of the latest model of the series, iPhone 6s 16 GB model, which was launched at Rs 62,000 on October 16, has fallen by 11-16 per cent and now ranges between Rs 52,000 and Rs 55,000. However, the online resellers who were already ranging the device for 3-4,000 less, have further slashed the prices. The price reductions are beyond all variants – 16 GB, 64 GB, and 128 GB — of both models. 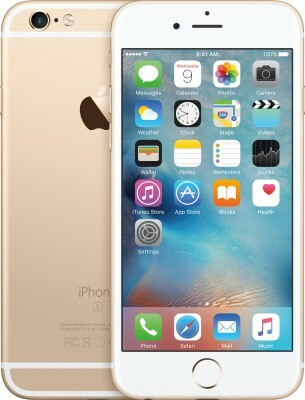 16GB Gold is the most popular model among the entire range in the consumers for now. Along with this price slash when New Year is all heading towards, many online retailers have offered special offers to attain more customers. End of the year sale of Amazon is one of the most popular among the customers. While customers response is positive with the reduction of prices of iPhone 5S and they are expecting the reduction in the prices of Macbook during this Christmas.